Long Preston Post Office & Stores is a small family run business in the picturesque village of Long Preston. 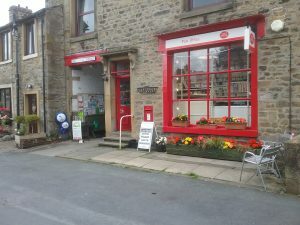 Julie and Steven Thompson run the post office, general store, and bed and breakfast that lies in the heart of Yorkshire Dales National Park, 5 miles from Settle on the A65. All types of domestic new and repair work undertaken. Including general building, plasterwork, rendering, extensions and roof work. Over the past 15 years we have recruited and developed some of the finest timber craftsmen in North Yorkshire. We specialise in doors and windows and would be happy to show you around our new window and door showroom and talk through your ideas. Settle Computer Shop is located on the top floor of the Conservative Club, next door to the VETs. We have a workshop for repairs to tower and laptop computers and a small retail area selling a selection of computer parts from mice to screens, printers and new or refurbished computers. Our business started in 1997 and has grown to provide computer services to the wider Settle area, including Long Preston. Visitors are always welcome so why not call in and say hello.